There is something so gratifying and enthralling about watching and listening to an artist develop and grow which is what keeps me so hooked on discovering new musical talent. Charlie Louise is one of those artists that keeps me on the edge of my seat and ever since seeing her live for the first-time supporting Wildwood Kin around a year ago. Now, I’m in the privileged position to be among the first to hear Charlie’s debut EP and share it, dear reader, with you. Opening with the title track, ‘I’m Not Like You’, this EP gets off to a tentative, almost nervous start with a piano line joined by Charlie’s vocals that sound classy and accomplished. “I don’t want to be a burden, I don’t want to seem a fool, but I know for certain, I’m so over you” she sings with a mix of soul, pop and touch of country as the rest of the band join in to swell the sound without losing any of the purity. There’s a sadness to this opening track but also a sense of moving on to the next phase in life and that’s an impressive mood to conjure up for one so young in terms of years and career. The first half of this EP was recorded with a backing band at Abbey Road so ‘Little Games’ shows off her more pop side with a little more feisty energy and a sense of purpose driving the band on behind her breathless vocals. The second part of this collection comprises a pair of raw acoustic tracks that were each recorded in one take which comes across brilliantly in the rawness and honesty of each track. ‘Where You Are’ takes the kind of melodies and structures that Sound of the Sirens have been so successful with but adds in the kind of vocals that you would expect to hear in the Live Lounge at Radio 1 where an accomplished pop artist was doing a stripped-down version of their chart straddling hit. The EP closes out with ‘Freefalling’ which shows that Charlie Louise was paying attention when she supported Wildwood Kin as she switches from the pop sensibilities of the previous track to a more haunting folk style which is genuinely enchanting. 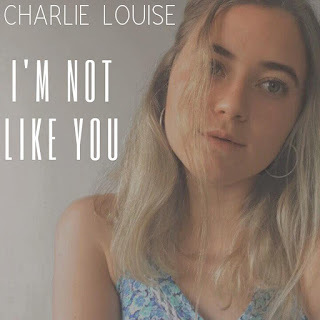 Charlie Louise has all the ingredients to make a success from music – a great voice, songwriting ability and the kind of freshness that you only get before the world and/or music industry gets its claws in to you. As EPs go, this is the perfect showcase for the talents of this young Cornish artist but in terms of debuts, well, they don’t come much better than this.